Blacklist is the first game in Ubisoft’s stealth-action Splinter Cell series since 2010’s Conviction. The newest entry picks up from the events of that game, with Fisher taking control of the newly-formed Fourth Echelon after the Third Echelon’s corruption was exposed in Conviction. As Fisher leads his team to clean up what’s left of the Third Echelon, a group of terrorists initiates “The Blacklist” – a countdown of escalating terror attacks. It’s up to Fisher to stop the attacks before the countdown reaches zero. Blacklist is also the first in the series not to feature series veteran Michael Ironside in the lead role; instead, Sam Fisher will be voiced by Eric Johnson (much to the consternation of some fans). Ubisoft has confirmed that multiplayer will also make a return in Blacklist. 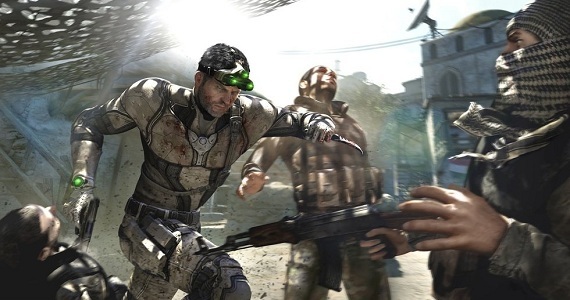 Are you excited for Splinter Cell: Blacklist? If you hadn’t made up your mind yet, does this trailer sway you one way or another? Let us know in the comments.